Around 10:20 p.m., the suspect entered the hotel and showed a small-caliber handgun to the female clerk. 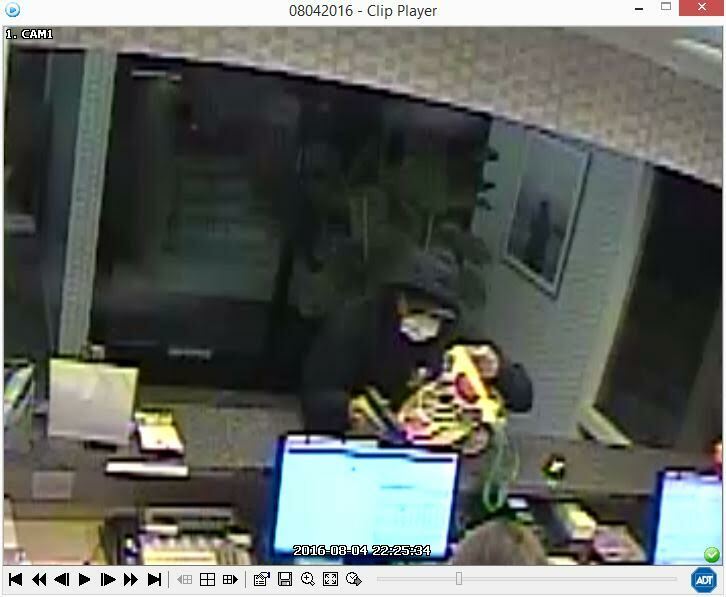 The clerk gave the robber cash, and he exited the hotel through the front lobby. No one else was inside the lobby at the time of the robbery, and there were no witnesses in the parking lot, either, police say. Officers searched Spyglass Drive with assistance from a state parks K9. Police also gathered evidence at the scene in attempt to locate the suspect. Police describe the robber as 5 foot 10 to 6 feet tall and 180 to 200 pounds. The suspect had bright blue eyes, and his hoodie contained an emblem on the upper left chest, as well as a large logo on the back. The Spyglass Inn is located at 2075 Spyglass Drive next to Shell Beach Road.